The British Council for Offices (BCO) is returning to Birmingham to host its prestigious annual conference next month. It is a welcome return to the city after the BCO hosted its 2000 conference here since when the landscape and make-up of Birmingham&apos;s commercial property scene has changed vastly. The 2014 conference runs from May 14 to 16 and will focus on new ways to create modern and innovative working environments. Delegates will hear from members of the business, academic and political sectors on how changing certain elements of the workplace would help increase productivity and wellbeing. The three-day programme of tours, plenaries and seminars will examine how the workplace is evolving to stay up with the changing landscape socially, culturally and technologically. A busy diary starts at Little Aston Golf Club at 9am on May 14 and will also take in a tour of the Jaguar Land Rover factory, the central business district and Birmingham&apos;s historic jewellery quarter. The Repertory Theatre will host a drinks reception after welcoming home participants from a cycle challenge while party animals can continue the networking at the Jam House. Day two will hear from the conference&apos;s line up of guest speakers including Isabel Oakeshott, political editor of the Sunday Times, Gerard Lyons, economic adviser to London Mayor Boris Johnson, and John Burns, the chief executive of regeneration company Derwent London. Seminars will discuss future cities, the evolving office and the regional office marketplace among other subjects while a series of short tours will take in sites including Brindleyplace, Fort Dunlop, the Mailbox and Cube, and Snowhill. 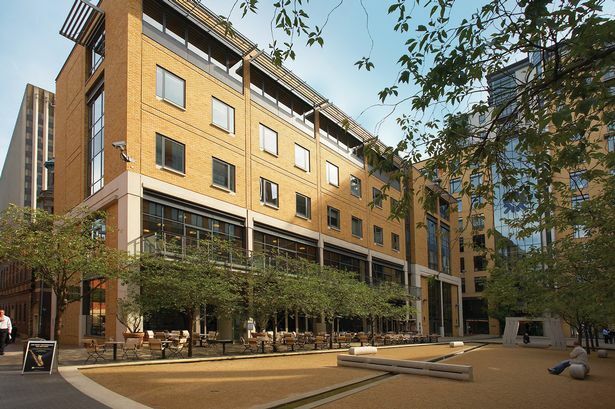 Early risers on day three will be able to enjoy at fringe event in Brindleyplace at 8am about the current state of the office sector in the regional markets. Among the other seminars is a session looking at how the TMT sector (technology, media and telecommunications) is setting the agenda for new offices. More information about the conference programme can be found at the BCO website.